Sukanya Samriddhi Scheme is a popular scheme now in India. The scheme is meant for girl child and aims to provide a secure future to the kids along with offering various tax benefits to the depositor, i.e. the parents/guardian on the girl child. The scheme was launched in January 2015 and ever since it has been launched, many parents have already started walking into post offices and banks to open an account for their girl child. Those who have not yet opened the account for their girl child are still planning and looking in to the features and finer details of the scheme. One of such features of Sukanya Samriddhi Scheme is its lock in period. 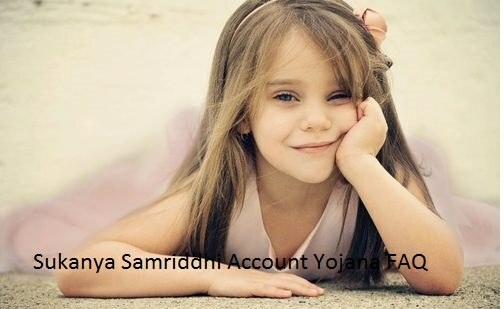 What is the lock in period in Sukanya Samriddhi Account? Sukanya Samriddhi Account matures when the girl child, who is the account holder of the account, turns 21 years. A complete withdrawal is also possible when the girl child get married, even before 21 years. A premature withdrawal of up to 50 per cent can be done after 18 years of age for the purpose of her higher education. So going by this, the standard lock in period is when the girl would turn 18. In terms of number of years, it would depend on what age the account has been opened since the scheme is open for all girls between the age of 0 to 10 years. What if you withdraw before lock-in period? Under normal circumstances, pre-mature withdrawal is not at all permissible. The account can only be closed and that too under extreme situations when the functioning of account is not possible by the parents/guardians and it is causing undue hardship to the depositor. The lock in period in Sukanya Samriddhi account has its purpose, which may be termed as either a merit or demerit of the scheme. A number of guardians would find this high lock in period as a security for their girl child. At the same time, those parents who are looking for a quick return on their money may find the scheme irrelevant. It is to be noted that the purpose of Sukanya Samriddhi Scheme is to ensure that marriage and higher education of girl child should not be a burden on parents or guardians. By investing in small amounts throughout the year, they can at least ensure that they have a secure and significant amount reserved for their daughters for their marriage and higher education.